Heavy equipment and a long history. 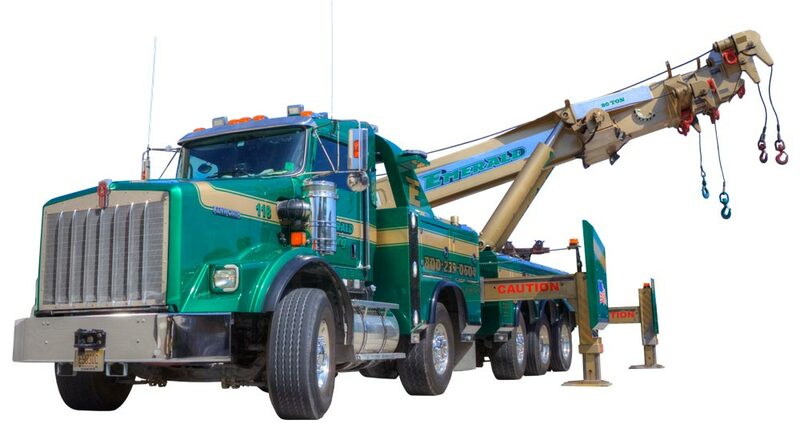 Servicing South Florida for over 50 years with a fleet of over 40 trucks – we are able to respond promptly to every type of recovery or towing need. Our team of towing professionals lead the industry in training, efficiency, safety and incident management. Our partners include several Federal, State and County organizations. Registration includes tournament play, player gift bag, snacks/beverages on course, buffet dinner with carving stations. Hole in One and Longest Drive contests. Fabulous silent auction and exciting raffle items. Emerald offers a full array of towing and recovery services. This is our work, our craft, our specialty. Here at Emerald Towing, we have the ability to tow over 75 tons, properly handle chemical spills and even transport air crafts. If you can’t move over — or when on a two-lane road — slow to a speed that is 20 mph less than the posted speed limit. Slow down to 5 mph when the posted speed limit is 20 mph or less. Copyright © 2019 - 2020.